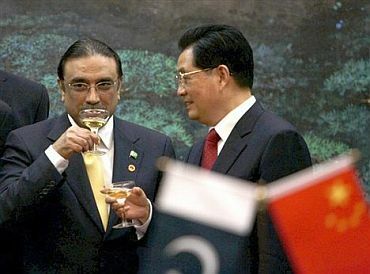 Rediff.com » News » Danger lurks behind Pak-China nuclear deal! Danger lurks behind Pak-China nuclear deal! 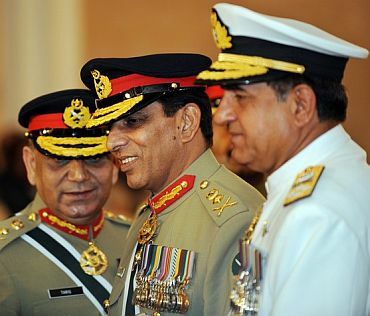 Pakistan has gained atomic capabilities through "international deception" and "clandestine procurement" networks, eminent US lawmakers have said, while warning that the continuation of 'secretive' Sino-Pak nuclear ties is setting a wrong precedence for others. "In 1998, Pakistan conducted its first nuclear test, having developed its weapons far before then. Pakistan had gained that capacity through international deception in part whereby the true end-user of various equipment was obscured through clandestine procurement networks," Congressman Brad Sherman said at a Congressional hearing. "We now see similar networks on behalf of other states that either are trying to develop nuclear weapons or have done so illegally. These proliferation techniques need countries to be the transshipment hub in the supply chain," said Sherman. Sherman made the remarks on Thursday while chairing a hearing on 'Transshipment and Diversion: Are US Trading Partners Doing Enough to Prevent the Spread of Dangerous technologies' by the Terrorism, Non-Proliferation and Trade Sub-Committee of the House Foreign Affairs Committee. "Technology and equipment from companies in countries with high-tech manufacturing can then go to those hub countries and then on to the prohibited country," Sherman said. He alleged that these hub countries have weak or non-existent export controls, ineffective customs and law enforcement officials and most importantly, little or no political will to do anything about this critical problem. "In addition, large trade volumes at major transhipment ports can help camouflage the illicit shipment of diverted goods," he said. The Congressman said the US experience with Pakistan's nuclear programme demonstrated that export control laws will be of little value unless the US can properly control the flow of global cargo at transshipment hubs. Congressman Ed Royce said China's notorious record as a WMD (Weapons of mass destruction) proliferator demands that it be given very close scrutiny. "I'm a sceptic on China's commitment to export controls given its past behaviour and certainly given its nonchalance about non-proliferation in general," he said. 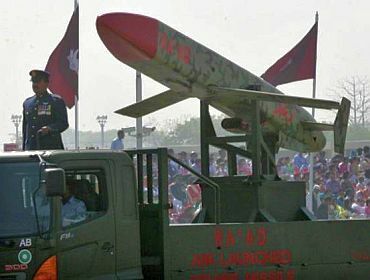 Royce alleged that it is China, which provided those critical components to Pakistan's capability to bring an atomic weapon online. Vann H Van Diepen, the Acting Assistant Secretary of State for International Security and Non-Proliferation: "Based on the facts that we're aware of, it would appear to us that that sale would not be able to occur consistent with NSG rules unless the NSG were to give it a specific exemption, which of course China does not currently have for that. "So if they were to proceed with that sale without such an exemption, it would be contrary to NSG guidelines." 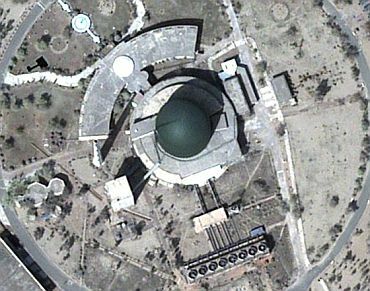 Diepen said the US can only block giving NSG exemption. "But if China decides to go ahead without the exemption and violates the rules, the group per se can't block the sale but we can certainly make clear our opposition and try and take steps to persuade them to do otherwise," he said.